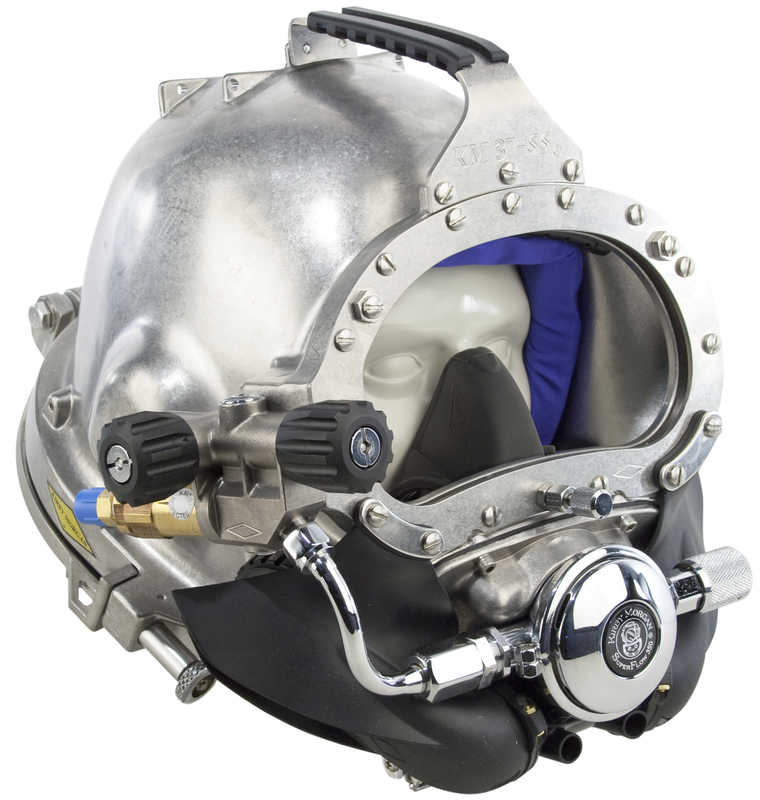 The new stainless steel Kirby Morgan® 37SS helmet combines the sleek style of the 37 with a rugged all metal shell. 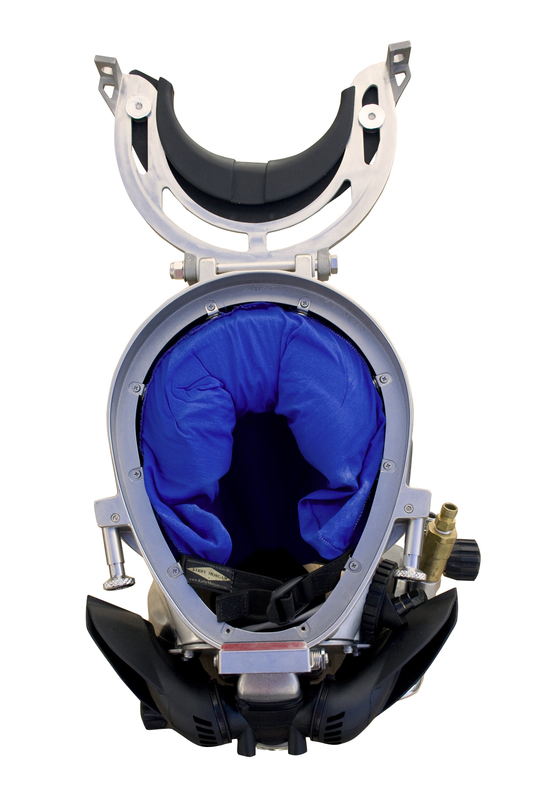 The Kirby Morgan® 37SS helmet features an all stainless steel shell, stainless sideblock, helmet ring, bent tube, handle, and other key components, as well as the SuperFlow 350 as standard. 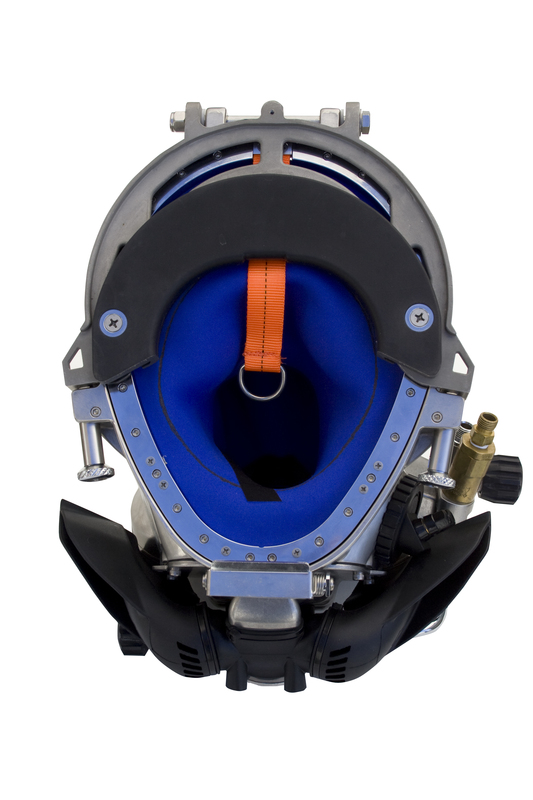 The Kirby Morgan® 37SS features a quick change communications module, available with either bare wire posts or a waterproof connector, and allows for easy, efficient maintenance of the helmet's communications.